Lasers have become commonplace in industrial settings as the technology dropped in price over the years. 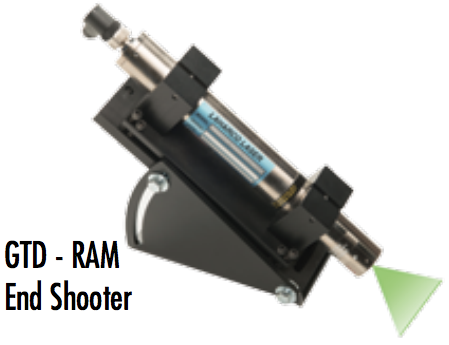 Take advantage of low prices by trying a laser-line generator module from USA Roller Chain today! There are countless applications for laser-line generators. Consider a laser mounted on a forklift. Align the forks with a delicate material, and you won't miss with an alignment laser in place. Try lasers with trim sawing, plywood layup, edging and log cutoffs too. 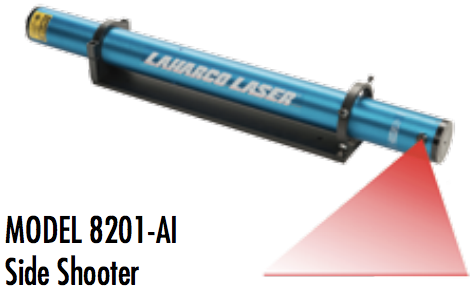 Each industrial laser-line generator comes with either a red or green beam. Choose between diodes or HeNe designs. Both lasers have their pros and cons. 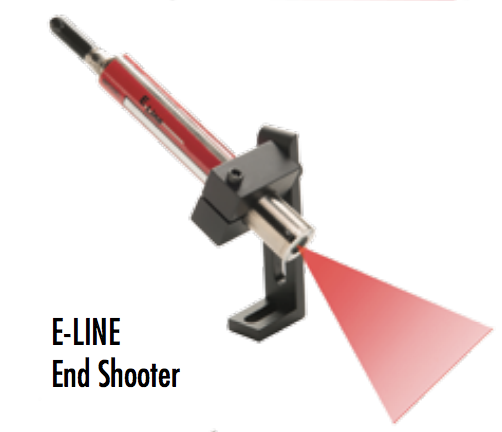 Simply choose the industrial laser-line pointer that matches your application. Enjoy precise-dot, end-shooter or side-shooter models. 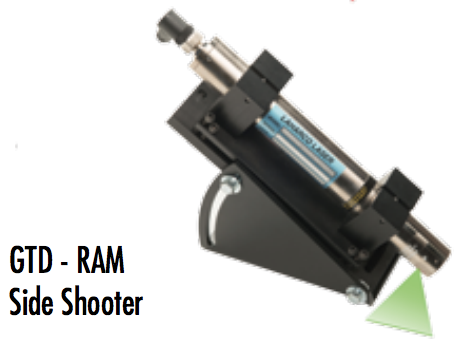 Our inventory also contains several brackets to hold these lasers in place. 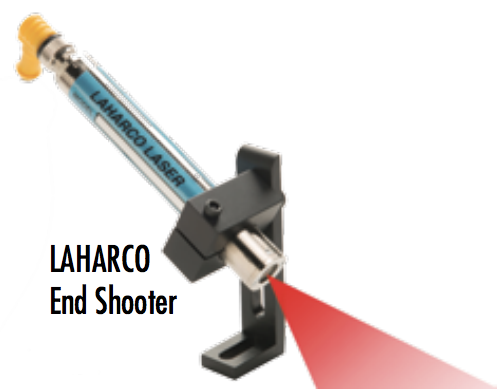 Once your laser connects to your machine or is put in another fixed position, it operates for countless hours before it will dim. There's no reason why your workforce can't keep up with an intense productivity schedule with lasers guiding the way. USA Roller Chain has the stock to outfit your entire warehouse or factory. Our industrial-duty lasers are setting themselves apart, as select models are extremely rugged, vibration resistant and water resistant. 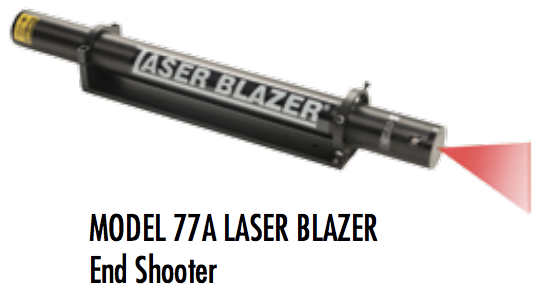 An industry-leading 12-month warranty backs all lasers. 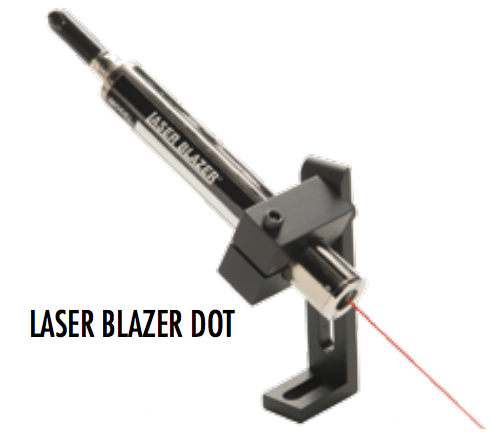 From mini lasers to 30mW red or green colors, we offer one of the widest selections of lasers in the industry. We have favorite brands like E-Line, Lacey Harmer, Laharco, Laser Blazer and Lasalign. Something that sets USA Roller Chain and Sprockets apart is our ability to offer a fast and cost-effective laser repair service for any brand of laser linemakers. 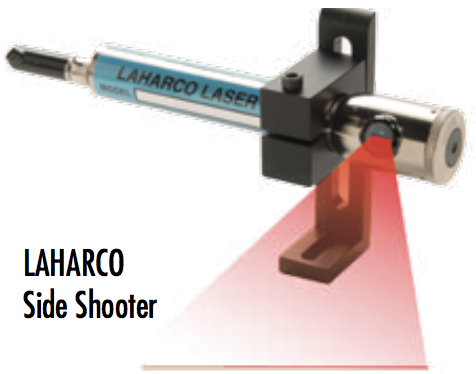 Standard applications for the lasers we supply are optimizers, camera visions, grading lines and photo-electronics. While NeHe lasers are typically more expensive than other ones, they also have an extensive list of advantages! High coherence length is very typical with NeHe lasers, and the length varies from 20cm to 100m depending on cavity parameters, mirrors, and ethalons used. The stable central wavelength for NeHe lasers is about 632.816nm in the air. A very stable oscillation frequency of <1 MHz (<0.001 pm @ 633 nm) drift is characteristic just to the most sophisticated NeHe lasers, having extra stabilization measures. The central wavelength of non-stabilized lasers can drift in the range of 1 pm which is good when compared to other laser types. NeHe lasers have a very high spectral purity, meaning it's easy to adjust and to force the laser to oscillate in one of the emission bands, once that is done, no spontaneous emission or emission from other bands is detectable. Right beam and alignment is also another positive feature. The longer the gas tube, the easier it is to get good Gaussian beam profile, excellent beam quality and perfect angular and spatial alignment concerning the laser housing. This is why our NeHe lasers feature a long gas tube. To request a quote on our lasers simply fill out the below form and hit submit and we will contact you. Please note that if you do not have all of the below information or need assistance give us a call or email us at sales@usarollerchain.com and we will assist you.